Sadly, despite the fact Dercum’s Disease was discovered over 100 years ago, there is still much that needs to be learned about Dercum’s Disease. Few clinical studies have been performed, resulting in only a handful of peer-reviewed publications. The vast majority of clinical studies of the disease have been performed at The University of Malmö & The University of Lund in Sweden, under the guidance of Dr. Håkan Brorson and Dr. Birger Fagher. Through their work, they have estimated that at least 10,000 people are currently suffering from this debilitating disease in Sweden alone. Their work over two decades have resulted in multiple published peer-reviewed articles, which can be found in our Articles section and on PubMed.gov. We would also encourage you to browse the many case studies from a wide variety of sources that are also available via PubMed. Dr. Brorson & Dr. Fagher’s initial study resulted in the publication of, ‘Dercum’s Disease: Portrait of a Medical Enigma – Fatty tissue rheumatism caused by immune defense reaction?’ in The Journal of the Swedish Medical Association on April 10, 1996, and is available here. This article serves as a good summary introduction to the disease. They have since performed several additional clinical studies, including extensive research into the effects of Liposuction on Dercum’s patients and their pain levels. Their work is the current benchmark for information about Dercum’s Disease, its effects, diagnosis, and treatment. For further information on Dr. Dercum and Dr. Brorson & Dr. Fagher’s research into Dercum’s Disease, please visit our Articles section or search for them in PubMed’s database. Their earlier articles have been reprinted on this website with their kind permission. Although Dercum’s Disease has yet to be extensively studied, there are several peer-reviewed resources available. We’ve compiled several published medical journal articles here on our website. We also encourage you to search PubMed.gov for additional information. To our knowledge, the only current ongoing research into Dercum’s Disease is being pursued by the National Institutes of Health located in Washington, DC. 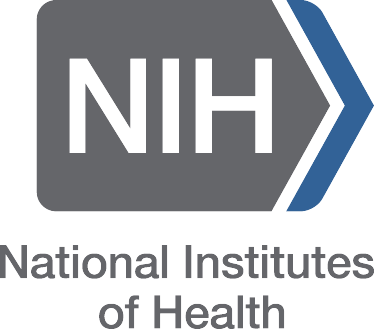 NIH is one of the world’s premiere medical research institutions and we look forward to their findings. They do not, however, treat or diagnose individual patients. The University of Malmö also, unfortunately, does not consult on individual cases to our knowledge. Unfortunately, we have become aware of several individuals and even impressive-sounding groups who claim to be pursuing “research” into Dercum’s Disease and have been actively recruiting donations. Please keep in mind, medical researchers never request donations in their own personal name. Furthermore, proper clinical, medical research is always performed under the auspices of a larger university or research institution. This is necessary due to the extensive, strenuous, and complicated nature of clinical research. If someone is requesting donations for research, yet doesn’t have the partnership of a large trusted organization, please be wary. If someone is requesting donations for “research”, please don’t hesitate to ask questions. Please think critically, keep an eye out for potential red flags, and reserve your precious donation dollars for established, respected, trusted medical institutions. For more information, please check out our Frequently Asked Questions section. Research is – by necessity – a slow-moving and pain-staking process. But that doesn’t mean that you can’t be of great help to the Dercum’s community. We’ve put together an entire section dedicated to helping you answer the question, “How can I help?” Best of all, it won’t cost you a dime. Use of university and institutional logos are used for informational purposes and are not in any way meant to convey partnership or cooperation. The Dercum Society is not in any way related to the aforementioned organizations.